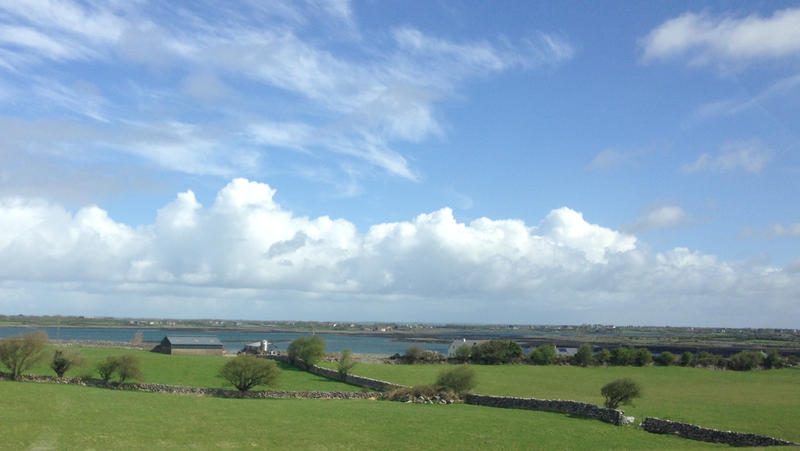 What comes to your mind when you think of Ireland? For me it is not Guinness Beer, or the crowded “most famous” shopping area of Grafton Street. 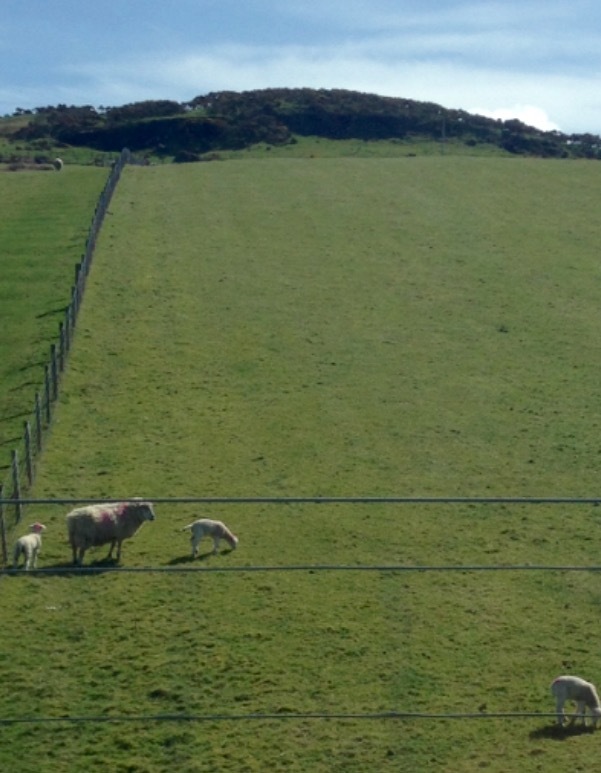 It is sheep and green pastures. 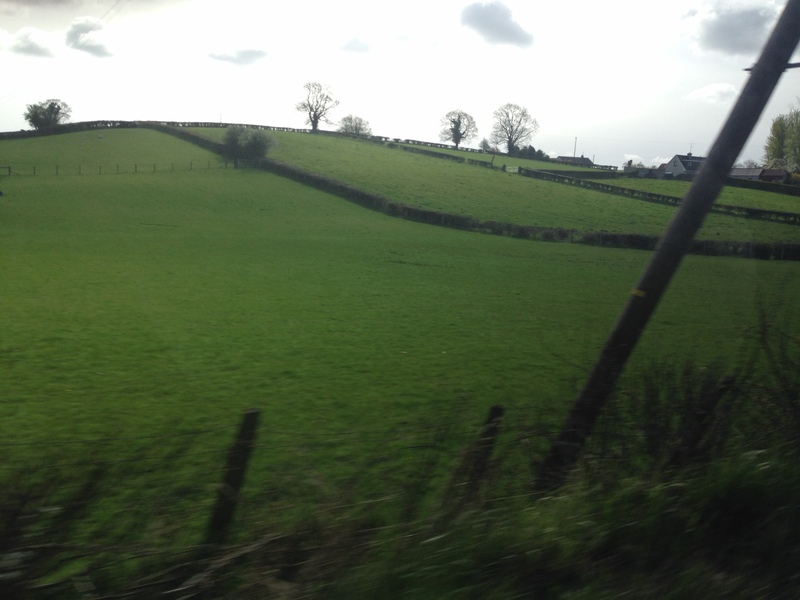 Sheep in green pastures is what makes Ireland awesome to drive through. Sheep show up everywhere and they are not impressed with your advances or your camera. 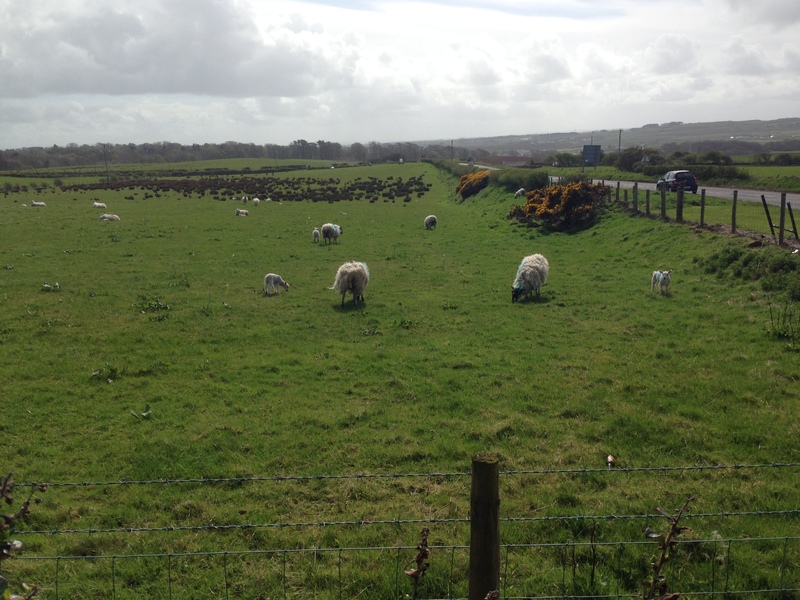 I learned that there are a million and a half more sheep than people in Ireland. 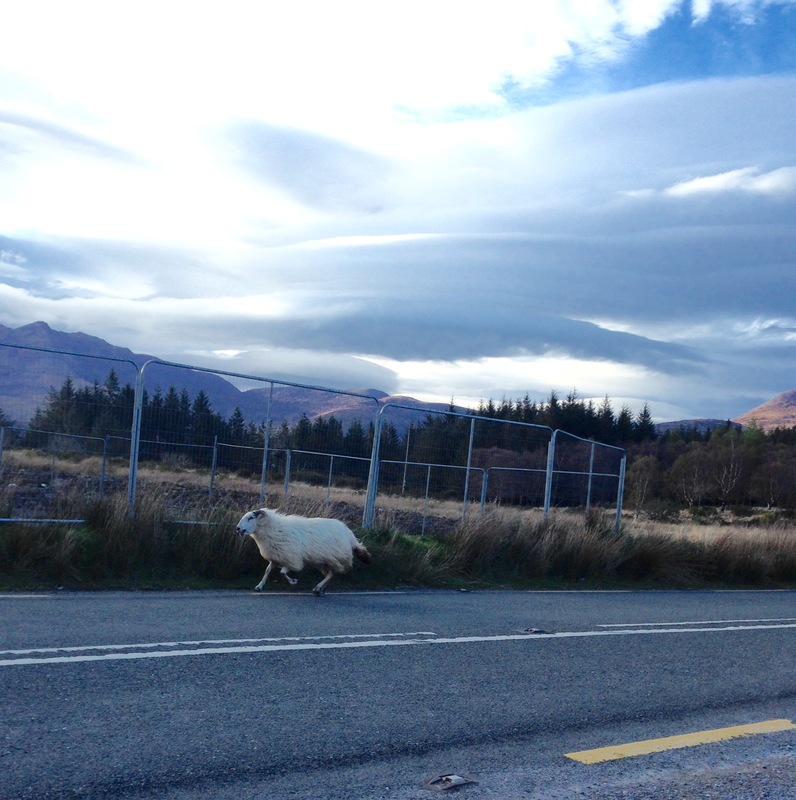 Is there a sheep census taker? 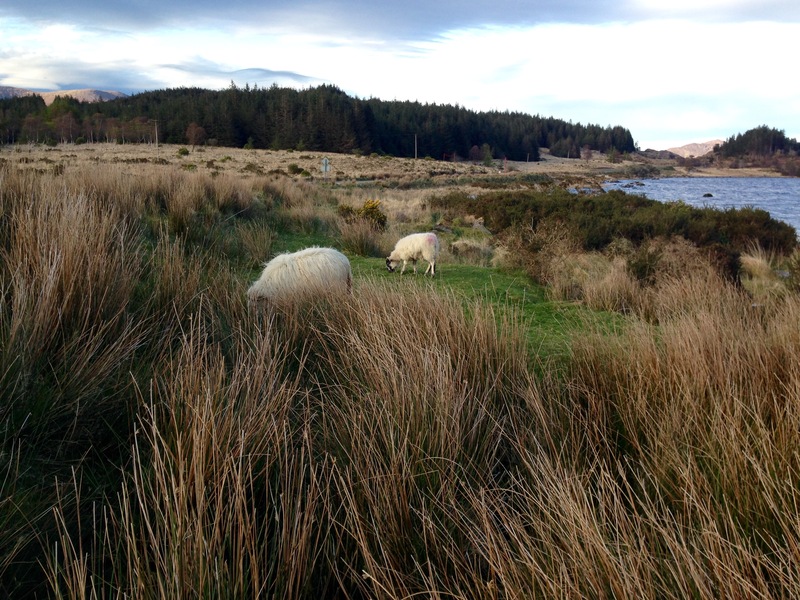 There is also the mystery of the pink and blue markings on the seemingly free roaming sheep. It is a mark of identification, something like a brand, to tell which sheep belongs to what farmer. 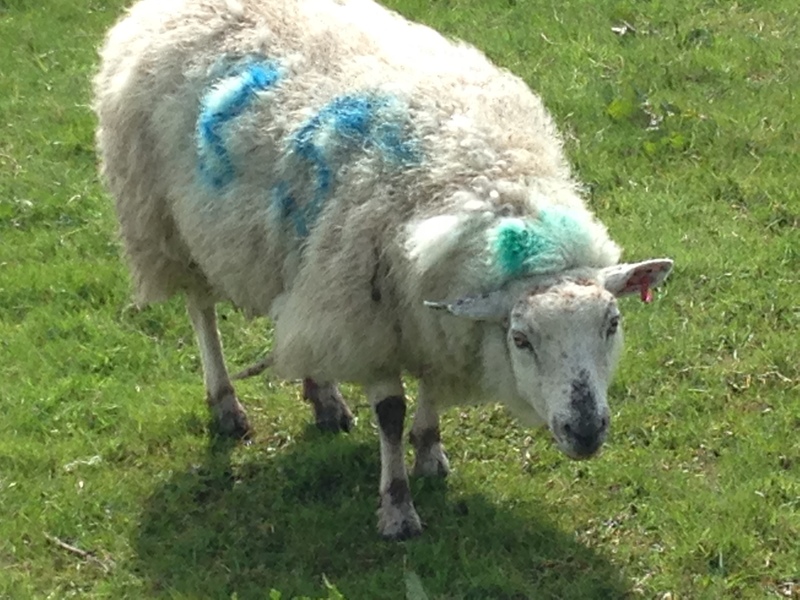 The mystery is that all the sheep have the same pink and blue markings. We asked a local farmer about this and his answer was vague, something like well each farmer knows his sheep and the sheep knows his farmer. Actually I think that is Biblical. The sheep know the voice of the shepherd and follow him. Sometimes you can see that the blue paint is a number, but it is often washed to just a blue or pink swash. 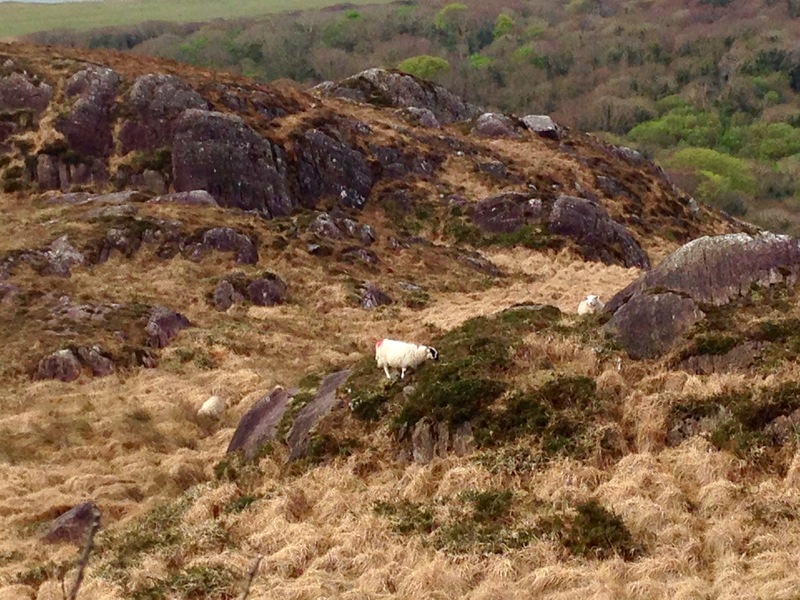 Often sheep are seen grazing on rocky hillsides instead of green pastures. Here they found a green spot in the middle of weeds and rocks. These were also fairly close to the road, so we stop and tried to get a closer shot, but as soon as we got within good shooting distance, they took off bleating and baa baa “ing” as they went, in a full run heading toward the barn on the other side of the road. We apologized and got back into the car. There is something peaceful and tranquil about sheep grazing in a green pasture. Which is why, perhaps, they put out their “do not disturb” sign by hanging out near fences not easily reached by camera toting passers by. 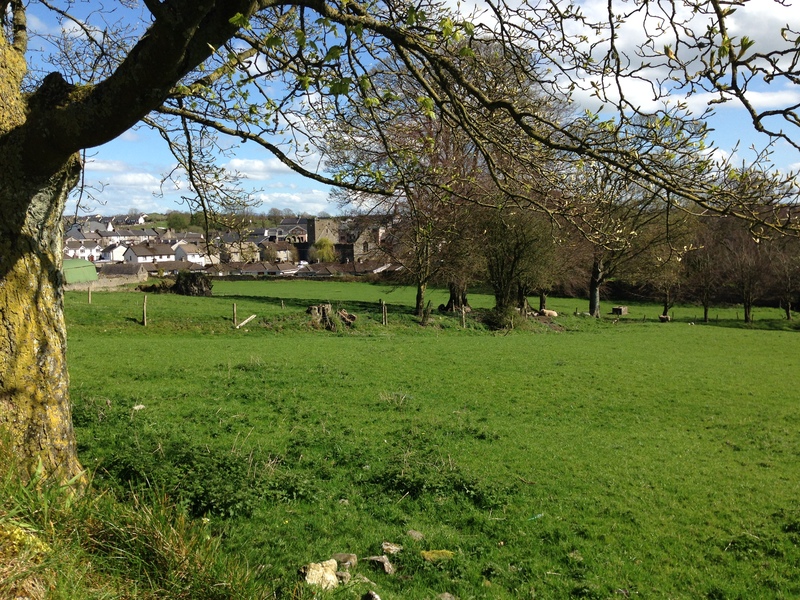 Driving by offers many tranquil scenes of just green pastures and stone fences. I think of the hard labor it took to erect those fences, first digging them out of the rock infested ground and stacking them in such a way that, with repair, they stay for long periods of time. Sometimes we all have to hang up our “do not disturb” signs to get away from the things, wanted and unwanted, that crowd into our busy lives. We need to soak in the quiet green pastures that life has to offer. 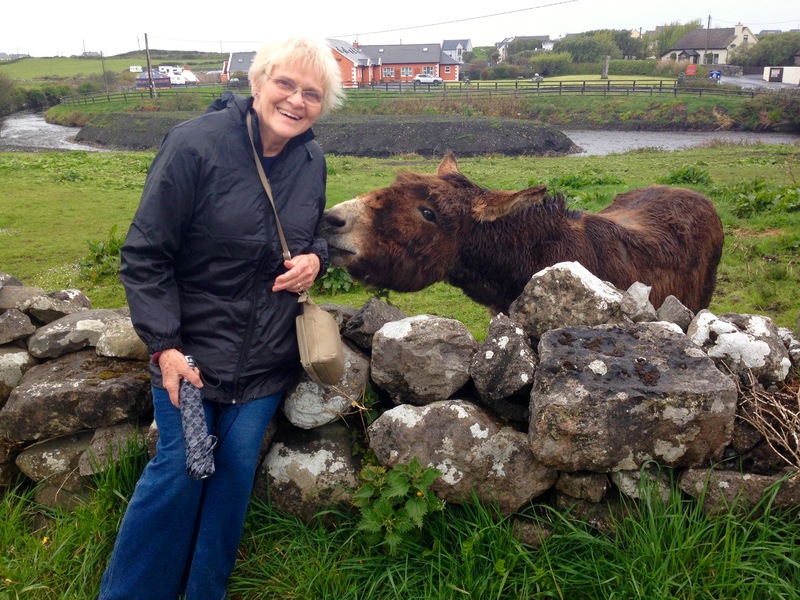 That’s what my trip to Ireland did for me.